I used to think the same, but I don't think so anymore. From everything I can tell, the transmission cooling is the same on all Pacificas, not something that's upgraded with the factory towing package. It's an oil-to-air cooler, and mine seems to do quite well when going down the highway, even in 90+ degree weather towing my boat. The warmest I've ever seen the transmission is 205*, and that was in mid-90* weather in stop-and-go traffic for about 20 minutes with 5 of us in the car towing the boat. I can't get the engine over 232* either, and the bar gauge has never moved at all. Hey Toast, just find yerself a long flatbed trailer, put the 'toonboat and Pac on it, and tow them both with the Foad Truk! Now what was the problem? If one wants to be entertained for an hour or so, go to a busy boat ramp and watch people try to launch and retrieve their boats. From my boat, I watched a guy with a FWD van try to pull his boat out on a slippery ramp only to spin the wheels (wet and slimy ramp = slippery as heck). Someone came to his rescue with a tow chain and truck to get the van and boat out of the water. 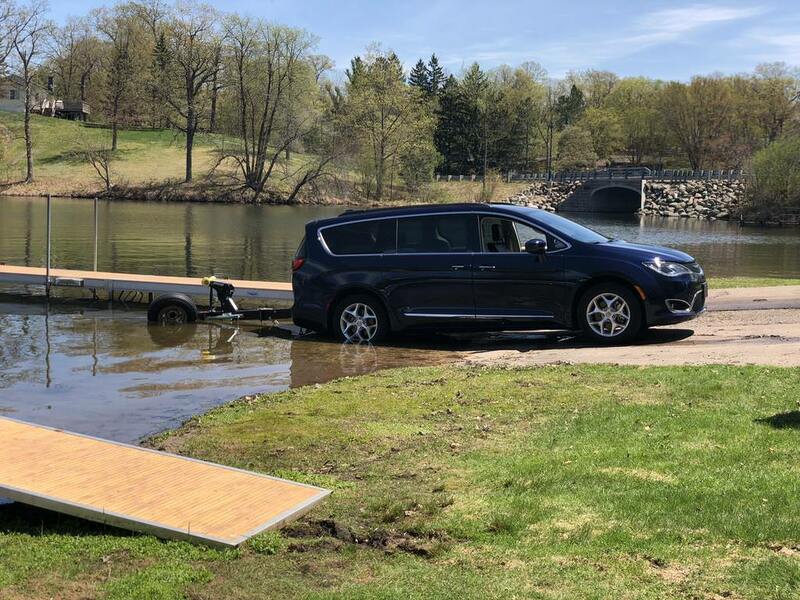 One needs to consider all aspects of towing the boat from tow capacity to pulling load out of water on a slippery ramp. I launched and retrieved over 20 times last summer at at least six different ramps. My boat is right at the 3500 pound limit, and I had no troubles. You have to be cautious, I turned away from a gravel ramp realizing I would have a problem, but with some common sense it is not an issue.